The Conversation Attachments add-in helps you see all kinds of attachments in a conversation on one pane. 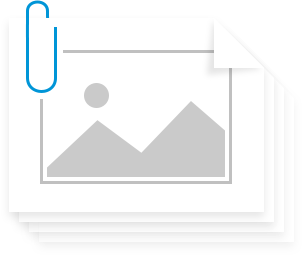 To view all relevant items, simply click on any email of the thread and get a gallery of all attached files at a glance. Use this helpful tool to effectively view and work with all conversation-related attachments. See all conversation-related attachments View all Outlook conversation attachments and their details. 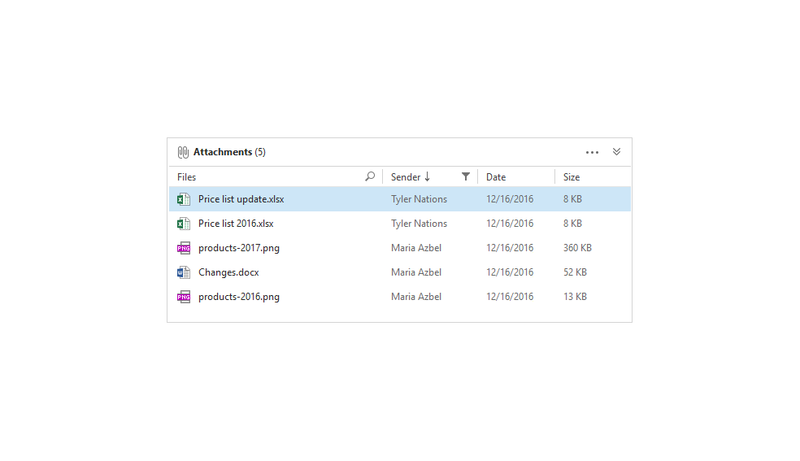 Find the needed attachments quickly Search conversation-related attachments on the add-in pane. What is Conversation Attachments and what do I need it for? Conversation view makes email tracking in Outlook much easier, especially when your correspondence requires more than just 2 or 3 messages to sort out an issue. Often long email communication involves numerous attachments like images, agreements, electronic reference books, PDF, or Excel files as well as Outlook items. The Conversation Attachments add-in makes using the view truly efficient by allowing you to see all attachments of an email thread on the add-in pane. 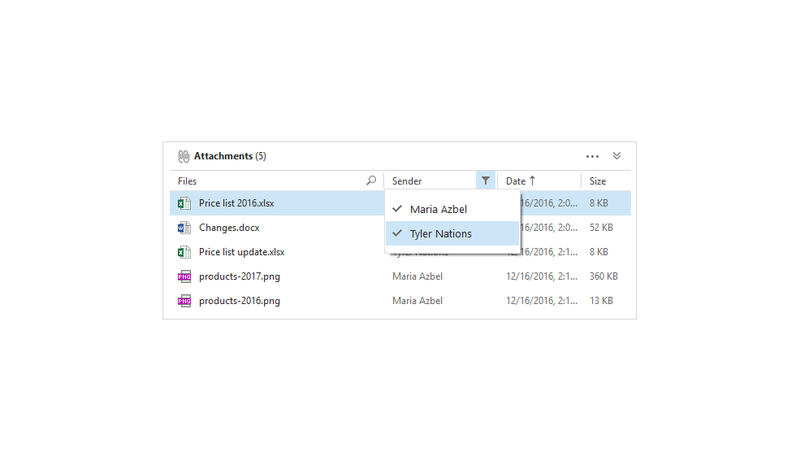 How to see all attachments of a conversation in Outlook? To view all relevant items, simply click on any email of the thread and get a gallery of all attached files at a glance. 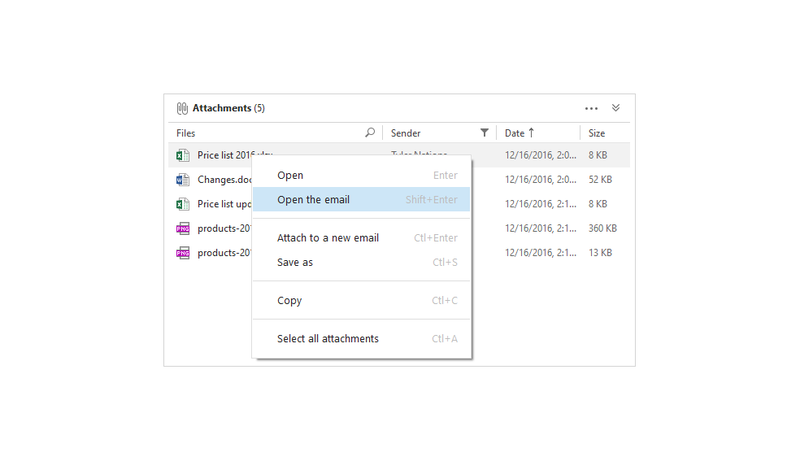 You can easily open the file by double-clicking, or right-click to open the email that contains the item, attach to a new email, save, or copy. Also it's possible to multi-select and work with several attachments at a time. Can I sort conversation attachments? Yes! 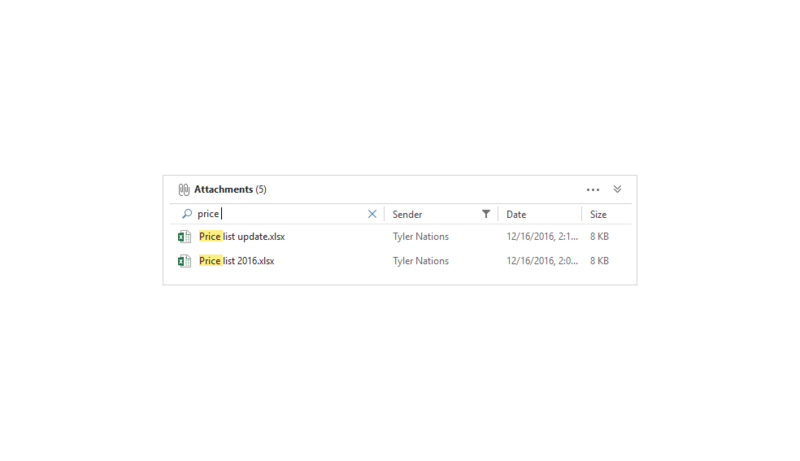 You can sort the attachments by sender, date, or size.